As more people establish a presence online, there is a need for photographers to understand the basics of taking photos for the online audience. There are so many issues to be included, including understanding legal issues around photography for websites. Here, you will learn the importance of choosing your background, how to light your subject and the benefits of editing. If you love taking photos of small organisms, this is the field for you. Here, you will understand what it takes to capture the image of your favorite tiny insect and see it bounce into a huge picture. It also guides on the equipment you will need to take photos of small organisms. These forms of photography are popular both online and offline. This website guides you on what makes a good photo. It also explains how to get a shot that is powerful enough to be sold. You will also know the best times to take photos. 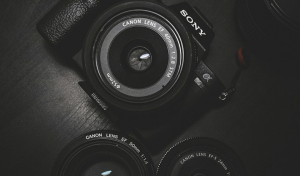 This website covers different aspects of photography, giving information that benefits people with different levels of experience. Since photography is a growing field and mobile phone companies are improving their camera quality with every design of phones that they launch, more people are always seeking information on where they can improve their skills without necessarily registering into a photography school. The site will give you material you can use whether you have professional cameras or you are using a phone.